Arrow has accumulated a lengthy roster of villains in the five seasons since its debut, but there's no telling which might crop up again. According to one of the show's executive producers, one specific character is definitely on the table for a sixth season return. In an interview with CBR, Marc Guggenheim addressed the possibility of Helena Bertinelli/Huntress (Jessica De Gouw) returning in Season Six. According to Guggenheim, nothing is set in stone, but there is an opportunity for her to make a return appearance in The CW series. "I want to say, 'Absolutely,'" Guggenheim revealed. "Jessica De Gouw has expressed an absolute willingness to come back. Jessica’s a favorite actor of mine, and the Huntress is a favorite character of mine. I want to make it happen in Season 6. We’ve got some plans for the later half of the year that I think she will fit into really well, so we’ll see." Huntress has been missing from the show's proceedings since the Season Two episode "Birds of Prey", which placed both Sara Lance/The Canary (Caity Lotz) and Laurel Lance/Black Canary (Katie Cassidy) in her crosshairs. The character was incarcerated afterwards, meaning a potential comeback could certainly be possible. Arrow fans will just have to wait and see if the fan-favorite character does end up returning. Supergirl premieres on Monday, October 9th at 8 pm, while The Flash debuts on Tuesday, October 10th at 8 pm. Legends of Tomorrow moves to Tuesdays this Fall, airing right after The Flash on October 10th. 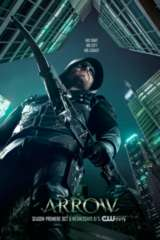 On Thursday, October 12th at 9 pm Arrow will premiere to round out the DC roster.